CISV Leeds & West Yorkshire have organised a Christmas Social on Saturday 7th December. 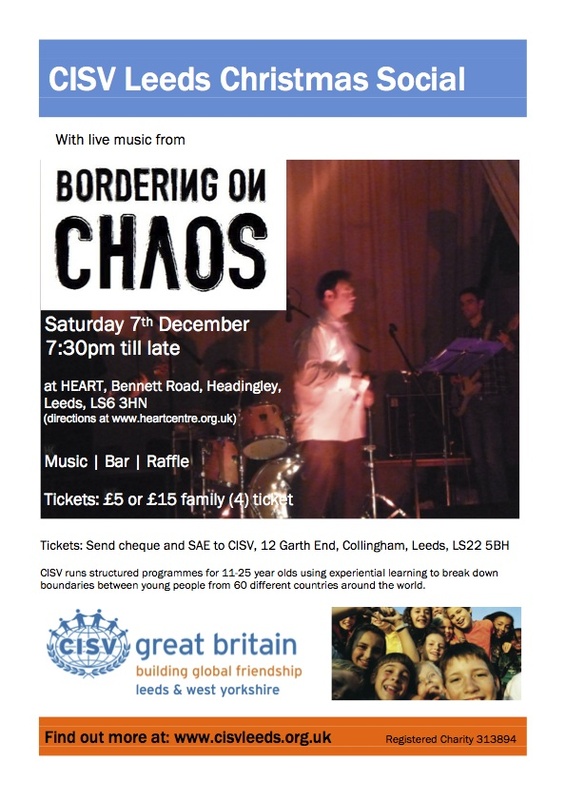 Come and join us at HEART in Headingley for an evening of family fun with live music provided by Bordering On Chaos. The evening starts at 7:30pm with a late finish. Tickets are £5 or buy a family ticket (for 4) for just £15. Send a cheque and SAE to CISV, 12 Garth End, Collingham, Leeds, LS22 5BH or buy tickets at Junior Branch.